Thank you for contacting me! I hope to meet you soon. Please take a second to fill out this contact form and be sure to give me an email address you check frequently. Your email address is shared only with me and you will not receive spam. I travel all over for photography, so please note the city where you are located. 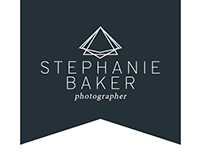 Stephanie Baker - Photographer :: Thank You! Thank you for contacting Stephanie Baker - Photographer! We'll get back to you as soon as we can. We look forward to speaking with you! Return to the Stephanie Baker - Photographer website.